We are pleased to report that Theresa May is standing firm in her reluctance to rule out No Deal and opposing a second referendum. Jeremy Corbyn also continues to help Brexit by refusing to support a second referendum and this now seems to be a dead duck. By doggedly pursuing parliamentary support for the Withdrawal Agreement the PM is putting Brussels under immense pressure to soften its stance on the Backstop (which ties the UK close to EU trade rules beyond the transition period perhaps permanently). There are some reports today that Brussels is close to caving in. Although movement from Brussels is likely in the endgame, this remains a few weeks away and they will be keeping a close eye on this week’s shameless attempts by Parliament to wrest control from the Government. We are encouraged by Sir Stephen Laws expert judgement that such efforts will fail. Meanwhile, European Commission spokesperson Margaritis Schinas suggested that in a No Deal scenario, a hard border would have to be erected in Ireland. After a furious reaction from Ireland, the EU swiftly backtracked, with Michel Barnier stating “We’ll have to find an operational way of carrying out checks and controls without putting back in place a border.” By admitting that a hard border will not be required in Ireland in the case of No Deal, the EU have undermined all justification for the Irish backstop– as we at BfB have been pointing out for months. This week saw also saw some encouraging signs that EU resolve is crumbling on this front. In an outspoken intervention, Polish Foreign Minister Jacek Czaputowicz suggested that a 5-year time limit on the backstop. His stance seems to reflect wider concern from across the EU that is not worth sacrificing a deal for the Irish backstop. The Poles may not veto an extension of the Article 50 period, which is a pity because the Hungarians could be tempted to do so with Polish support. Tuesday will be another big day in Parliament. Here’s hoping that the Remainer amendments will fail or be ignored. 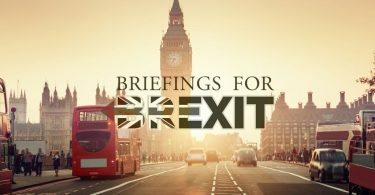 Beyond Tuesday, the likelihood is either acceptance of the PM’s deal with a time-limited backstop or else a last-minute fallback deal based on a mutually agreed intention to negotiate a free-trade deal alongside a raft of side deals to avoid disruptions to trade. Given Xavier Bertrand’s confidence on smooth transits through Calais (see below), such a fallback should prove largely satisfactory to much of business despite the protestations of the CBI. Finally, we urge you our supporters to ‘take back control’ in our present confusion. There are thousands of you. Our MPs listen to their constituents. Write to your MPs. Perhaps send them copies of some of our articles (or links to them) especially when they are relevant to your local conditions – for example, in rural areas, on the threat to British agriculture. Better still, make an appointment to see them at their next surgery: they will take notice when people are lining up at their doors. Make you views known where MPs might be wavering, or where they are working to sabotage Brexit, especially in Leave-voting and marginal constituencies. Regular contributor Noel Malcom has this week written an article for the Financial Times, exploring the rational reasoning that led 17.4 million people to vote Leave. Contrary to misrepresentations by those seeking to discredit it, the Brexit vote reflected not ignorance and stupidity, but rather ‘the fundamental desire of millions of people to live in a normal self-governing democracy’. Robert Tombs wrote in Saturday’s Daily Telegraph that the last time a faction in the House of Commons tried to take over the government ‘it started a civil war, our worst disaster in a thousand years’. What makes this power grab particularly shameless, says Robert, is ‘that it is being used not to enact but to thwart legal popular votes…to hand over the sovereignty they loudly demand to …the EU’. BfB is working with a PR company which this week helped organise an article by the President of the Haute de France region, Xavier Bertrand. An important politician in France Monsieur Bertrand said that ‘our ports and Eurotunnel will be ready including in the case of no deal’. What stood out was the constructive tone of the article, something missing from most comment in either the UK or EU. Graham Gudgin took part in an hour-long Brexit debate on France24 TV last Monday. Graham was, as usual, outnumbered, in this case 3 to 1, but was able to make a few points that viewers would otherwise not have heard. Regular contributor Anna Bailey strips away the spurious considerations which are held up as obstacles to a solution of the Irish border issue – the physical hard border, potential WTO breaches, lack of technical solutions. She shows that it is political grandstanding by the EU and Ireland that is the real issue. BfB co-editor Graham Gudgin predicts how the impending failure of various iterations of May’s Withdrawal Agreement will leave time only for a series of smaller agreements over contained areas. 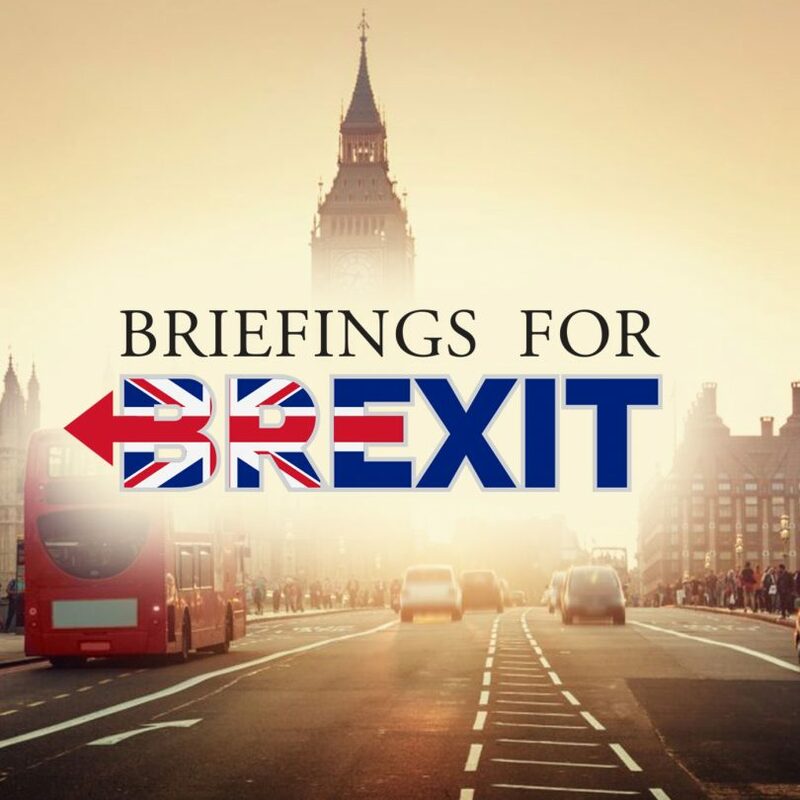 Professors David Betz and Michael Rainsborough, of Kings College, London bemoan the growth of a monochrome political class, inured to the concerns of those who elect them – a phenomenon of which these people’s reluctance to enact Brexit is the prime example. Professors Betz and Rainsborough join Nigel Farage in questioning just how far men – naturally and rightfully free – will continue to consider the good they derive from the political establishment to be worth the liberty they sacrifice to it. Interview with Lord Peter Lilley – Is May Playing Chicken? Interview with Kate Hoey MP – Is May really seeking a solution to the NI backstop? On Facebook this week Bridgette Brown enjoyed Anna Bailey’s dissection of the border issue, noting that it’s “typical of the EU desire to stop anything good happening from the UK leaving and the Irish government for being such a toady – one can see their real agenda a mile off”.